Midwest powerpop seems to be in vogue again as evidenced by the recent releases by Mooner and Three Hour Tour, among others. Now, Mineapolis’ Nato Coles and The Blue Diamond Band offer the latest entitled Promises to Deliver. 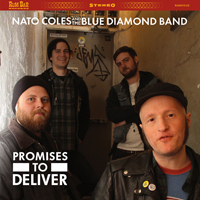 When you first listen to Nato Coles’ Promises to Deliver, you may mistake this for another exercise in Springsteen influenced blue collar rock. And Nato Coles certainly does have a penchant for working class anthems. But don’t judge this record after just a couple of tracks. The sound may be Springsteen-like but the energy is more Husker Du. While there isn’t a bad song on the entire disc, the album really hits its stride in its middle third. “Late Night Heroes” is fast and furious, “Econoline” is the best song about cars since John Hiatt’s “Thunderbird” or Bruce’s “Cadillac Ranch”, and “The True Blue Rocker” is exactly that, a true blue rocker. “Play Loud” is the kind of anthemic gem that is worthy of a Springsteen or Thorogood record. Speaking of “Lonesome George”, there’s more than a little bit of Delaware Destroyers in by favorite track on the disc, “I-94”. Maybe Nato should consider changing his name to Jimmy Johns. Not only are the tunes freaky fast, but with this LP he really delivers. 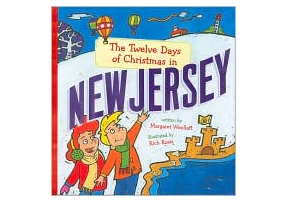 I suggest you check this one out. Get yours HERE.